ChicagoPlays.com is the League’s comprehensive website with show information for Chicago’s vibrant theatre scene. 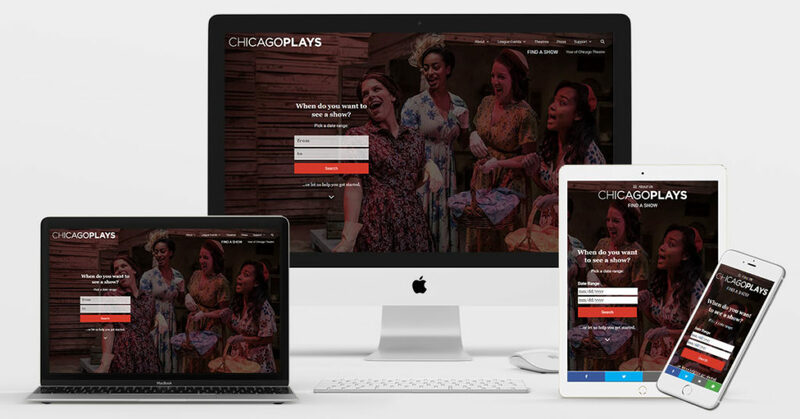 The site promotes member theatres and their productions with a searchable show calendar, performance listings, and opportunities for patrons to engage with the Chicago theatre community. The website serves a mix of avid Chicago theatre-goers, tourists, industry professionals, and theatre companies. When you become a member organization of the League of Chicago Theatres, you’ll receive a unique username and password. You may use this login information to update your company’s Theatre Page, to create Show Pages for your current and upcoming productions.